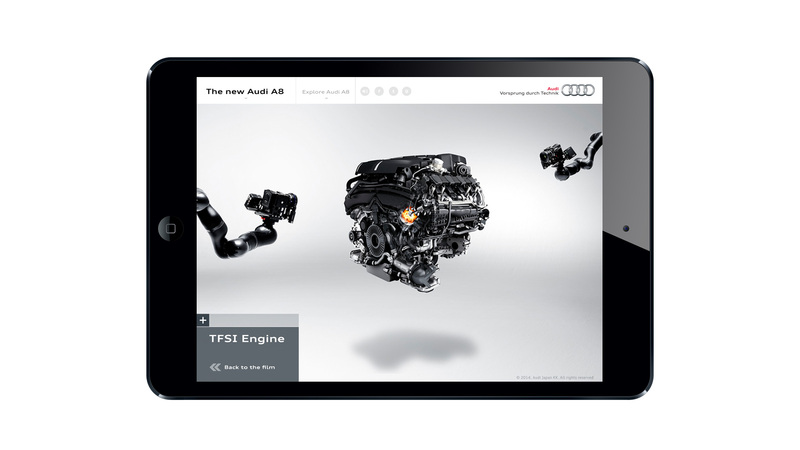 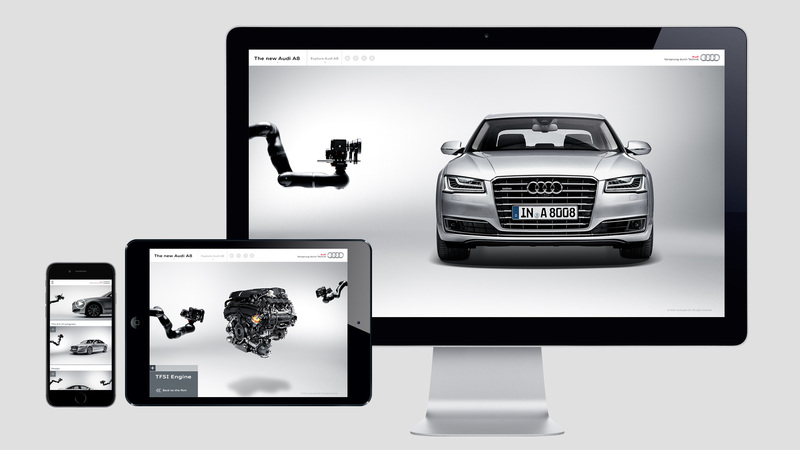 We created a website for the new Audi A8 special campaign launched by the German car manufacturer. 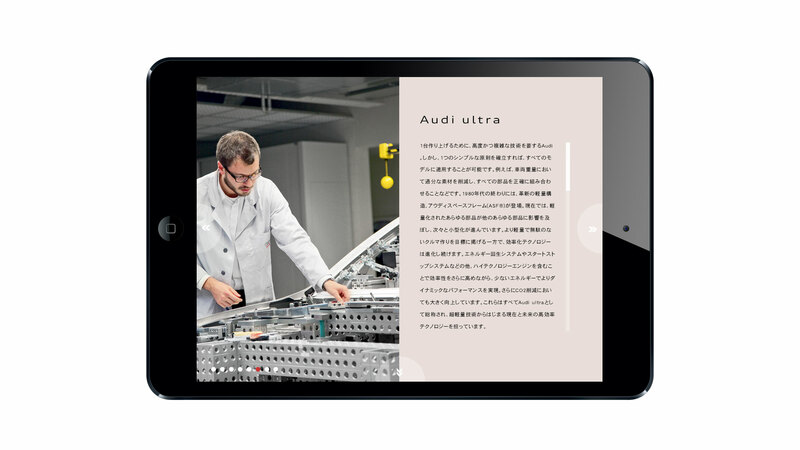 This is the top model in Audi’s range throughout its 100 year history. 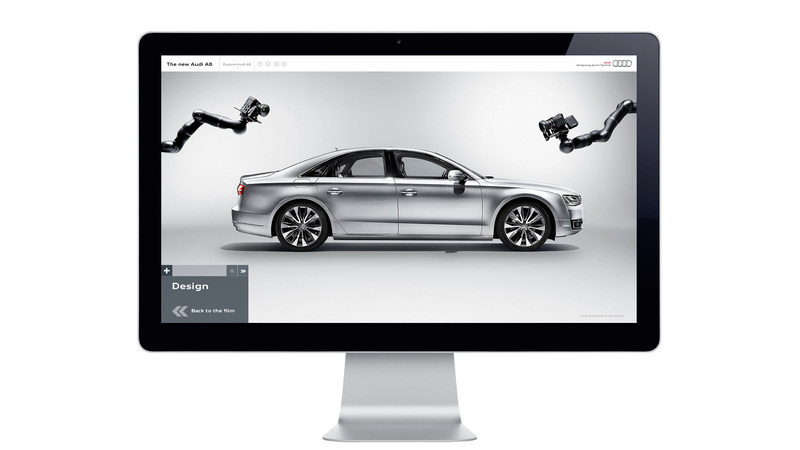 Reflecting Audi’s concept “Art of Innovation”, robotic technologies were employed to capture the ultimate beauty of the car. 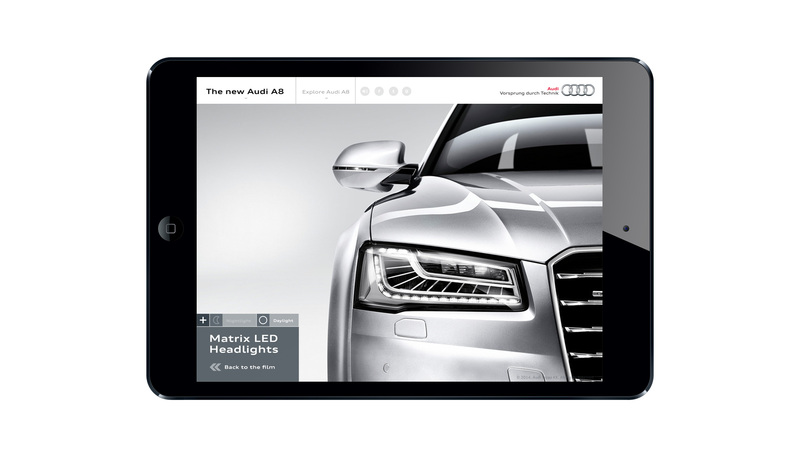 The Audi A6 is one of the most technologically advanced cars in the Audi saloon series. 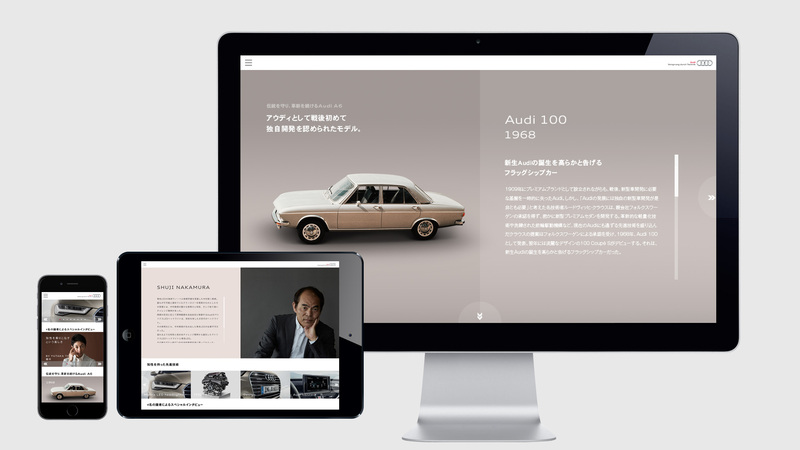 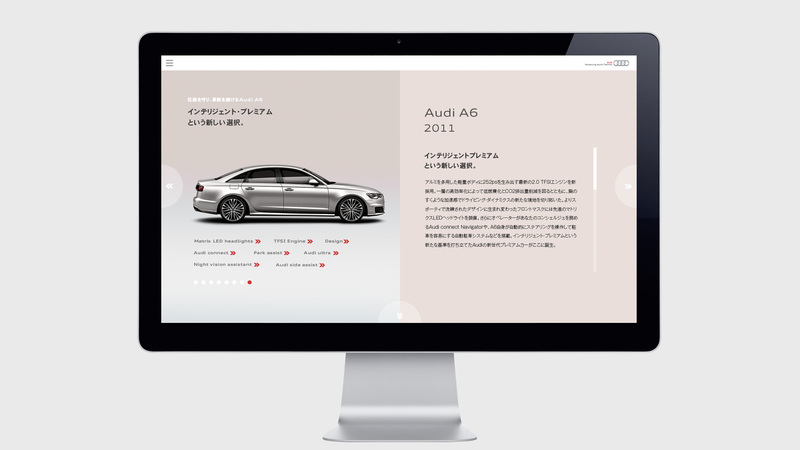 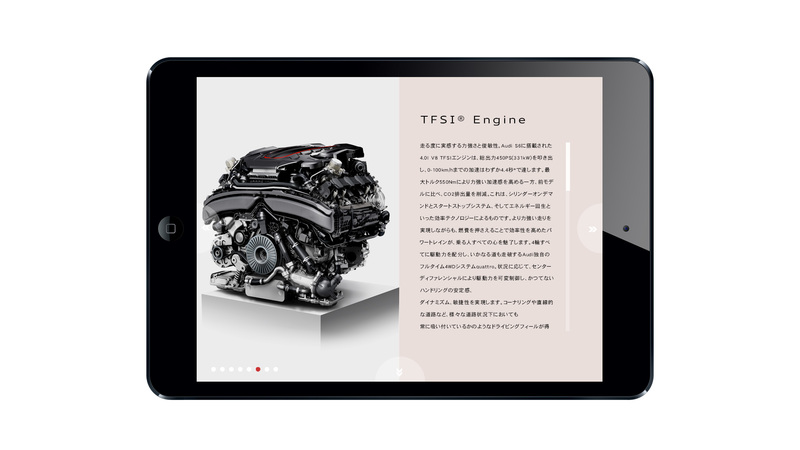 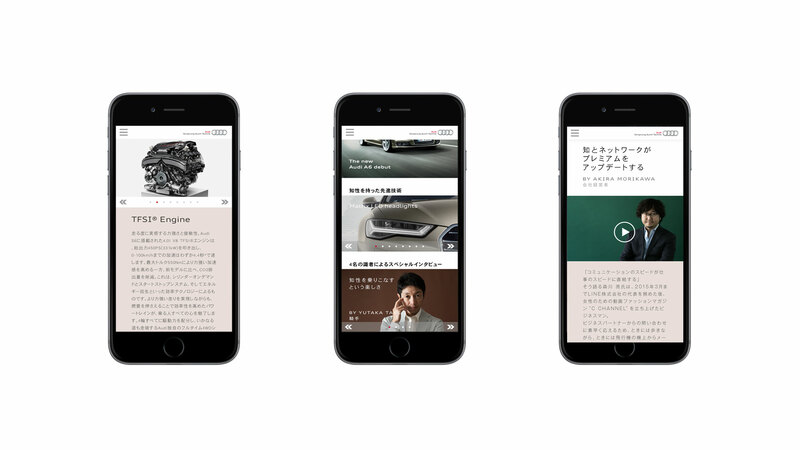 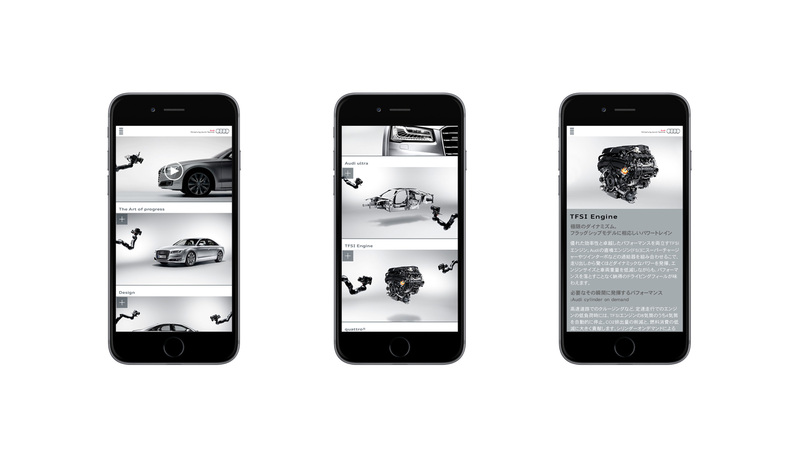 We designed the website for the A6’s new model launch in Japan. 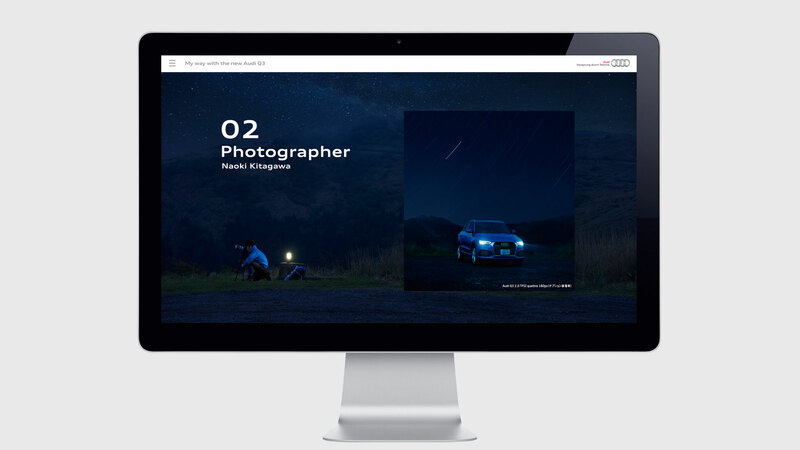 We included four interviews with leading figures such as Shoji Nakamura who received a Nobel prize for the invention of blue LED lights which are used for the Audi’s headlight. 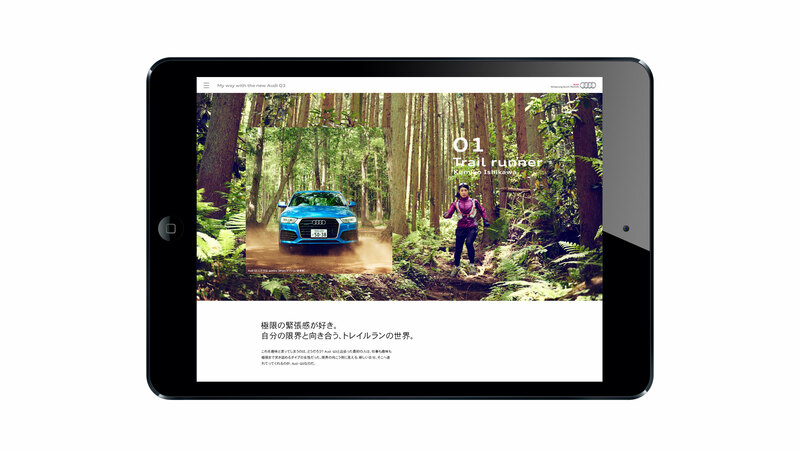 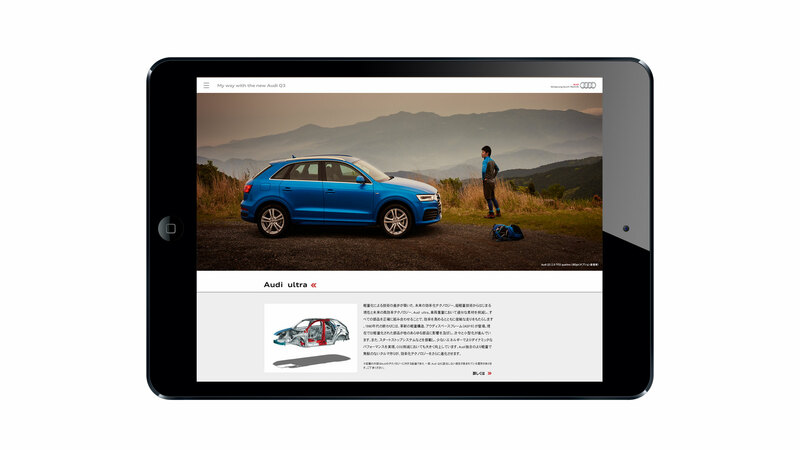 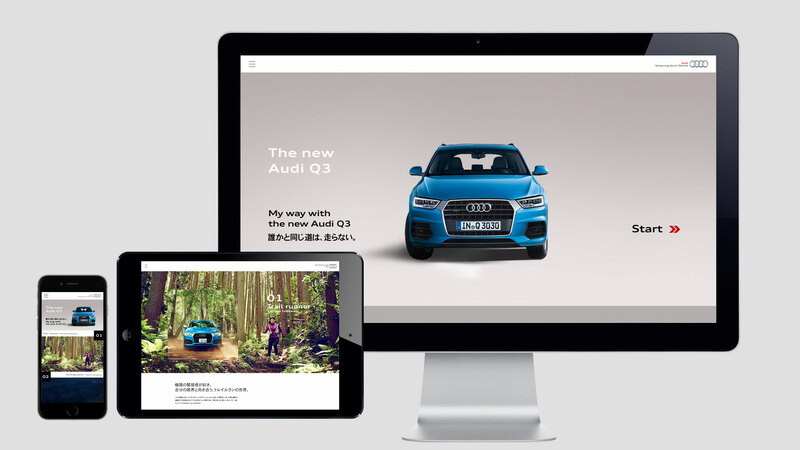 The Audi Q3 is a compact SUV and we were commissioned to create a website for the launch of the new model in Japan. 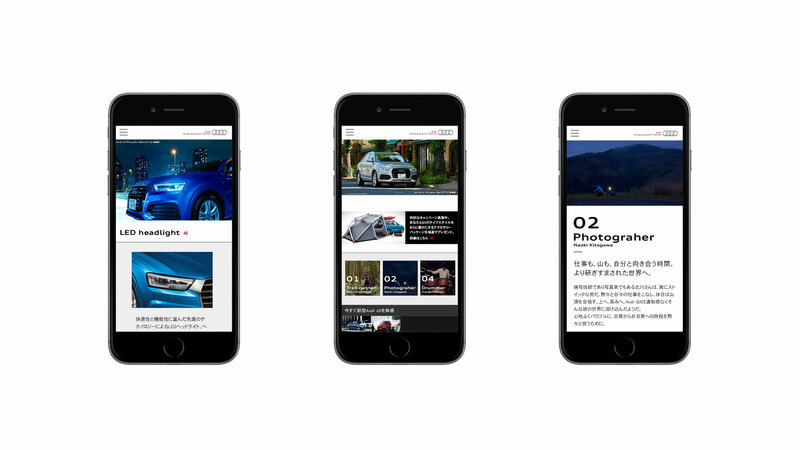 We featured four professionals who own the car to promote its benefits and usability.